The Battle of Pilot Knob was the first major engagement of a cavalry raid into Missouri by Major-General Sterling Price's Confederate Army of Missouri. 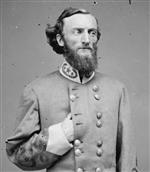 Price's superiors did not believe much would be gained by the raid, but gave Price the go ahead on August 4, 1864. 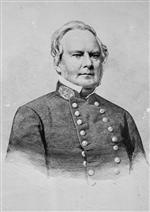 Sterling Price's army included divisions commanded by Major-General John S. Marmaduke and Brigadier-General Jo Shelby, both of whom had conducted cavalry raids into Missouri earlier in the war, as well as a cavalry division commanded by Major-General James F. Fagan. The story leading up to the engagement that took place in the Arcadia Valley is an interesting one. It's hard to keep the movements of thousands of cavalrymen secret. 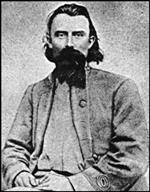 The Federals in Arkansas were keeping an eye on the Confederates and kept the Federal commander in Missouri, Major-General William Rosecrans, up-to-date. 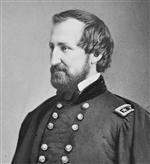 It took Sterling Price six weeks to plan a cavalry raid whose success depended on speed and surprise. 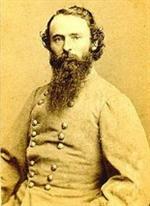 Price's army crossed into Missouri on September 19, 1864 and found the Federals waiting for him in the Arcadia Valley. This prologue will tell the story of the Confederate preparations followed by the Federal response.